He is soon looking forward to retirement and doing the same thing in our home in Maine which will be where we retire.. Thank again for working so hard on this for me…I should have thought of it earlier but it was an email that you sent me that gave me the great idea!! so good marketing guys! and thanks for the tracking info! Thank you so much Joanne for sharing! Don’t lose track of the time anymore with that beautiful antique calendar. In a kitchen, TV room, book shelf it is a nice touch . 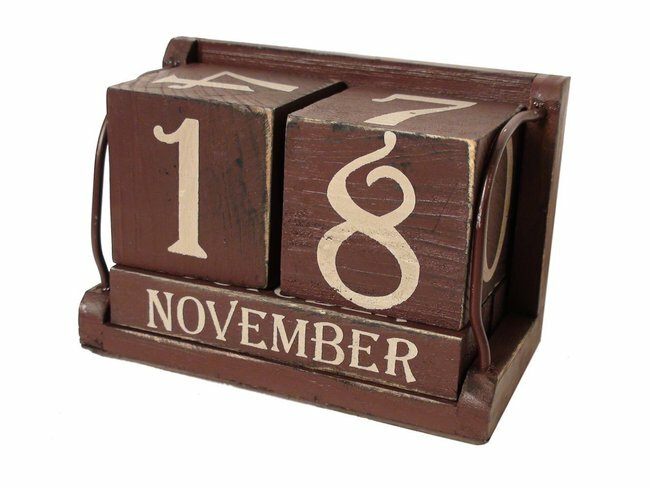 The kids love to put the date and actually learn the date easily! It is very easy to use and lots of fun. No need to drill hole in the wall! It stands by itself on a counter or a shelf. Easy to read from far away. – May 8, 2014 – GREENVILLE, S.C. — Wooden signs add personality to your home or business. Plastic and vinyl signs are the most common type of signage available today, but such creations do not have the personal appeal that you can get with wood. Whether you want to welcome visitors to your home or announce the presence of your business, a handmade wooden signwill get anyone’s attention. Every sign we make is unique, and crafted expressly for the customer who buys it. Instead of offering you generic signs, we work with you during the creation of your signs, giving you the ability to influence the sign during every step of it’s making. Your satisfaction is our priority, and we will send you drafts of your sign until we have created exactly what you are looking for. We start with unfinished lumber, and build every sign from scratch. From the design to the final finish, every product is a unique creation that you will be proud to say is truly one of a kind. The colors, fonts, and wording are all approved by you before we deliver. Our signs can last for many years, so making sure you get exactly what you want is simply our way of providing you value for your investment. We have a list of more than 200 popular quotes that you can choose from to order a sign right away. But if you need something special, you can always fill out a request form to tell us exactly what you want. Start by telling us the size you need, then choose the background and font colors that suit your tastes. Finally, choose from dozens of fonts to get the one you like best. When you submit the form, we will get to work on creating exactly what you are looking for. If you want a border, or a message on the back of the sign, we can do that for you as well. You can even send us a picture of what you have in mind! Where is the Wooden Signs Company? Wooden Signs Company, LLC is a family owned and operated business based in Taylors, South Carolina. Our professional artisans are dedicated to giving you the best sign possible, and that is a guarantee we stand behind. We are a small company, dedicated to providing every customer with signs that are made by hand right here in the U.S.A. When you buy from Wooden Signs Company, you are investing in the economic future of our great nation. What Do Wooden Signs Company Customers Say? We have received over 1,300 positive responses from our online customers, and 96% percent of those customers tell us that they would buy from us again, and recommend our work to their friends and family. Wooden Signs Are Great Unique Gifts to Offer! Wooden signs are a unique idea for gifts, no matter what the occasion. Newly wedded couples will love a gorgeous, handcrafted wooden sign announcing their new status to the world, something that they can put inside or outside for the world to see. Graduations, birthdays, even anniversaries are wonderful to celebrate with an artisan wooden sign, as are retirements and promotions. Your husband, wife or significant other would love to advertise their title to the world with a handcrafted sign: Show them who is boss, and give them a sign! CreateYourWoodSign.com is a dedicated small business that is made up of passionate artisan sign makers. We strive to deliver the exact, high quality wood sign that you want. In fact, you can design your own sign, and we will make it to your specifications, hopefully surpassing your expectations. Customer service is our top priority! Our wooden signs are completely handmade from scratch. We design, cut, sand, prime, paint and finish your sign, and all of this is done in-house. Better yet, we never use any vinyl in our products, unlike some of our competitors. Looking for a famous quote to put on your sign, perhaps something inspirational, but just cannot find the right one? We offer a number of wooden signs, already cut, with inspirational messages, so we may already have it. If not, simply request it, and we will make it for you. These make great gifts for your loved ones: anyone who needs a pick me up, or just loves a specific quote, will love receiving one of these wooden signs as a gift. Have a traveler in the family? Maybe a friend who loves Paris, or a significant other who loves golf? Think of creating a personalized directional arrow sign for him or her, one that names a city and the mileage to it (or a landmark and the mileage to it). For example, “Paris, 1,000 miles” or “Augusta National, 100 miles”. These signs can be customized to fit your needs, and you can choose the background color and font! This is a fun idea for the den, the bedroom or even the living room. 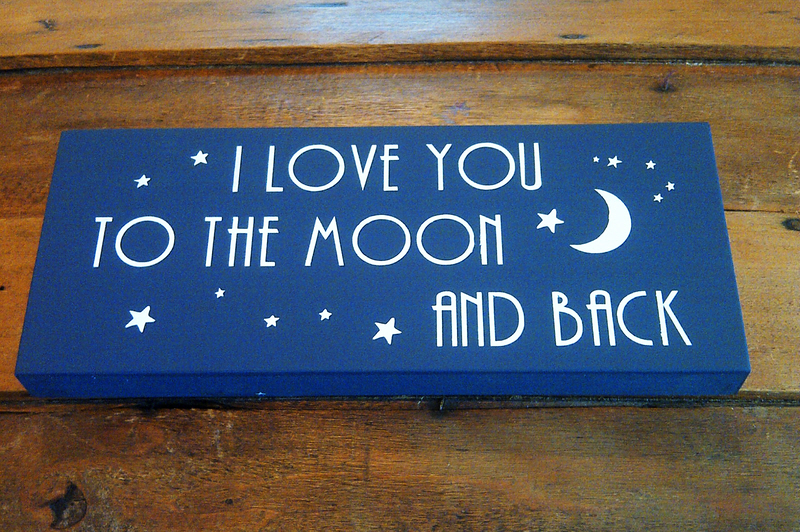 We also offer a number of themed signs, from Valentine’s Day to Christmas. These signs are wonderful decoration for the holidays, and they also make great teacher gifs! Teachers love to spruce up their rooms at the holidays, and these are unique, fun gifts to give to show your appreciation for all of their time and hard work. Themed signs are also wonderful gifts for relatives who love to decorate for the holidays! You cannot go wrong with a handcrafted, artisanal wooden sign. This is a gift that shows you put some thought into it, and this is a unique gift that no one else will be gifting! We love Home Country Decor! Here are the our 2 first favorite item: a Barn Star Welcome Tin Sign and a perpetual calendar in wood. 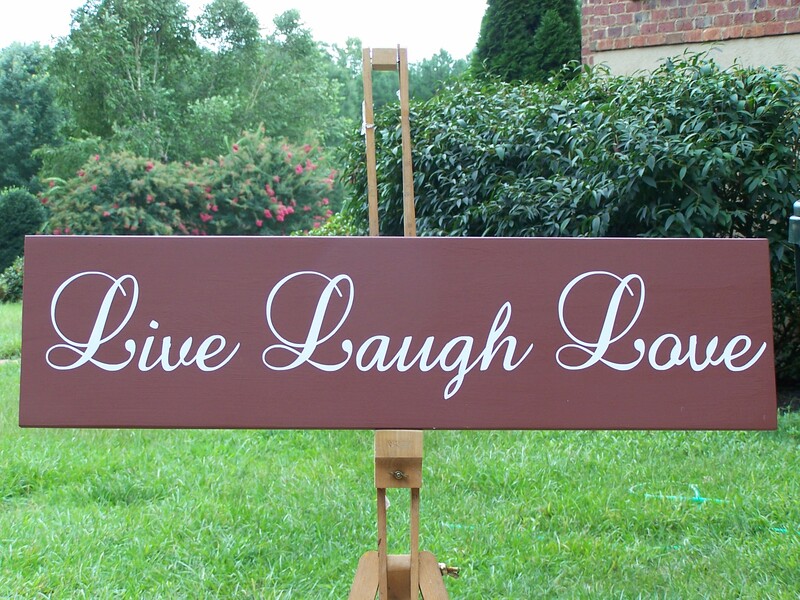 The “Live Laugh Love” wooden signs are one of our Bestsellers. we did design different sign available below. Do not hesitate to contact if you would like us to design your own! We do manufacture our wooden signs by hand from Quality Premium Pine Wood. We Never use vinyl to guarantee a optimum Quality.